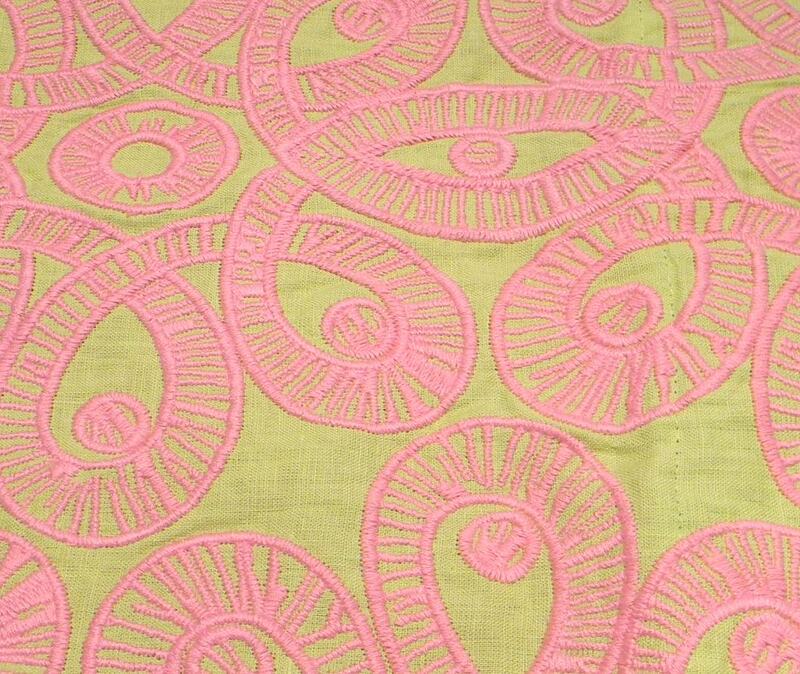 Summer is a great time to enjoy more vibrant colors. 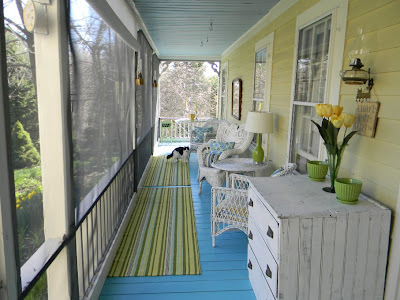 Porches are the perfect spot to explore color. 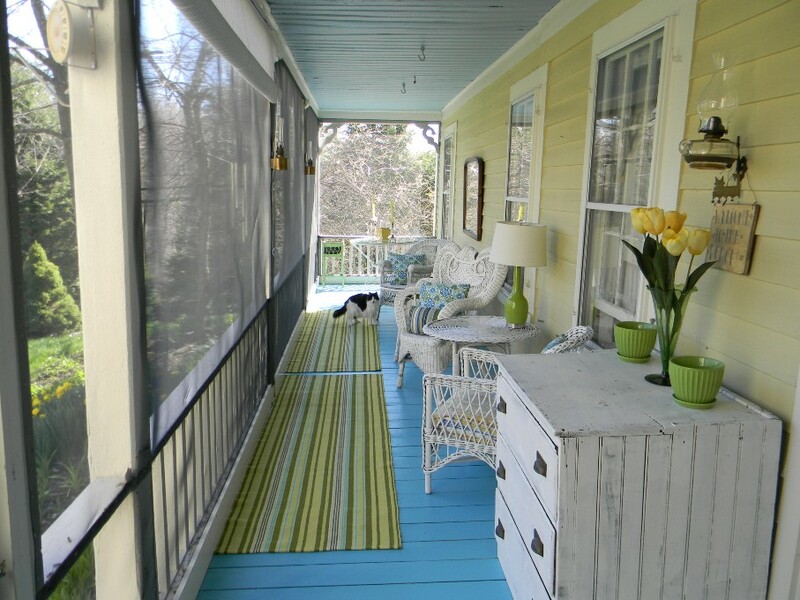 For this porch we chose a bright blue for the floor then softened it with the colorful runners that had that same blue it them. Lime green is a great contrast to the blue and we brought that color into the accents and the cushions. Porch just aster it was painted. Porch after the plants have been added. Detail of the color combination. 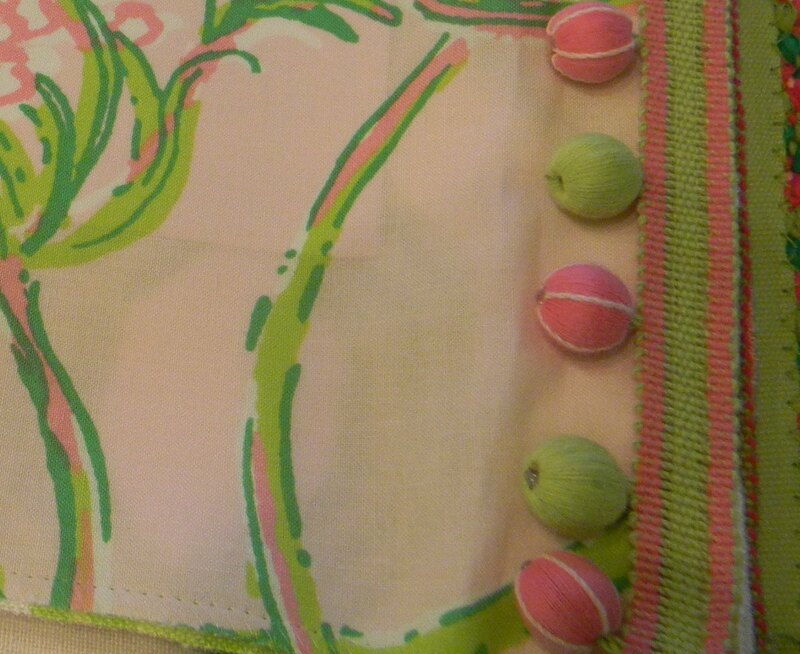 Other fun combinations are pink and lime green, as shown in these Lily Pulitzer fabrics by Lee Jofa.